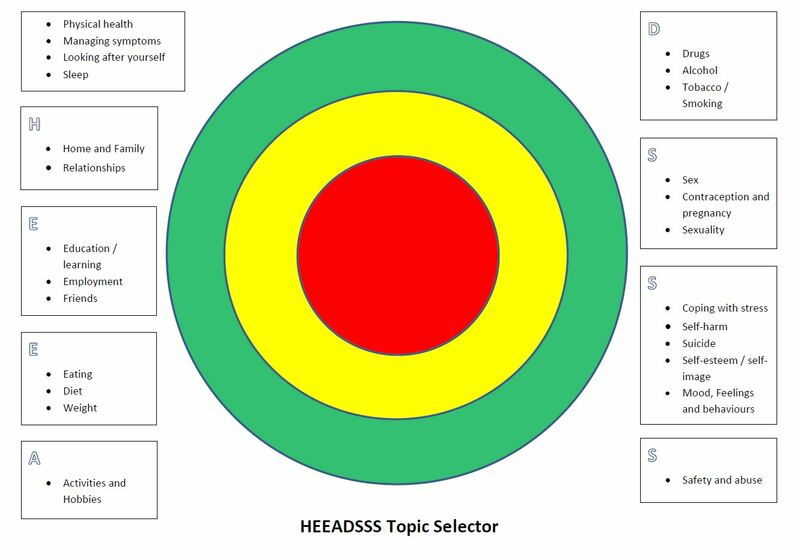 The HEEADSS Topic Selector was developed by Jessie McCulloch as part of the Me first Health Coaching training module. This resource can be used by a health or care professional in their conversation with a child or young person and allows the child or young person to choose their preferred topics of discussion through colour coding. Red = a topic they want to talk about or are experiencing a problem with. Green = a topic that is currently not a problem/don’t want to discuss. Yellow = unsure if they want to discuss this topic.